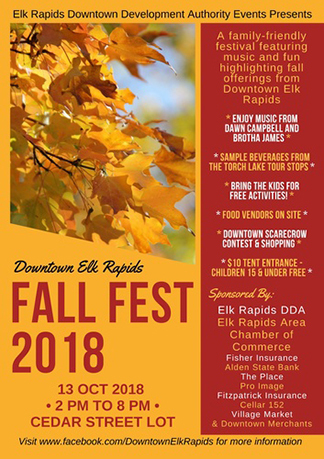 After you’ve joined Twisted Fish in the Cottage Gallery for Doodle Art Day, head up the road to Elk Rapids and enjoy Fall Fest 2018. This family friendly event will offer music, free kids activities, food vendors and a scarecrow contest. 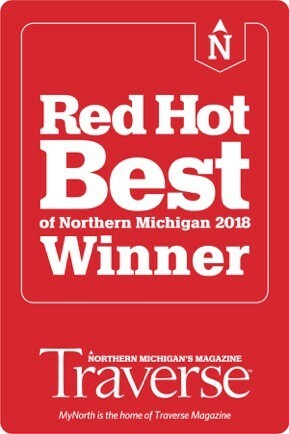 Stroll scenic downtown Elk Rapids and enjoy the colorful fall season is this lakeside village.